On today’s podcast, we ask whether Donald Trump’s specific attack on socialism in the State of the Union address—and the strange Democratic response to it—will prove a key issue in 2020. Did he hoist them on their own petard? And is that what is going on with the political meltdown among Democrats in Virginia? Give a listen. We also discuss Eli Steele’s article “From White Supremacy to Identity Politics.” Give it a read. 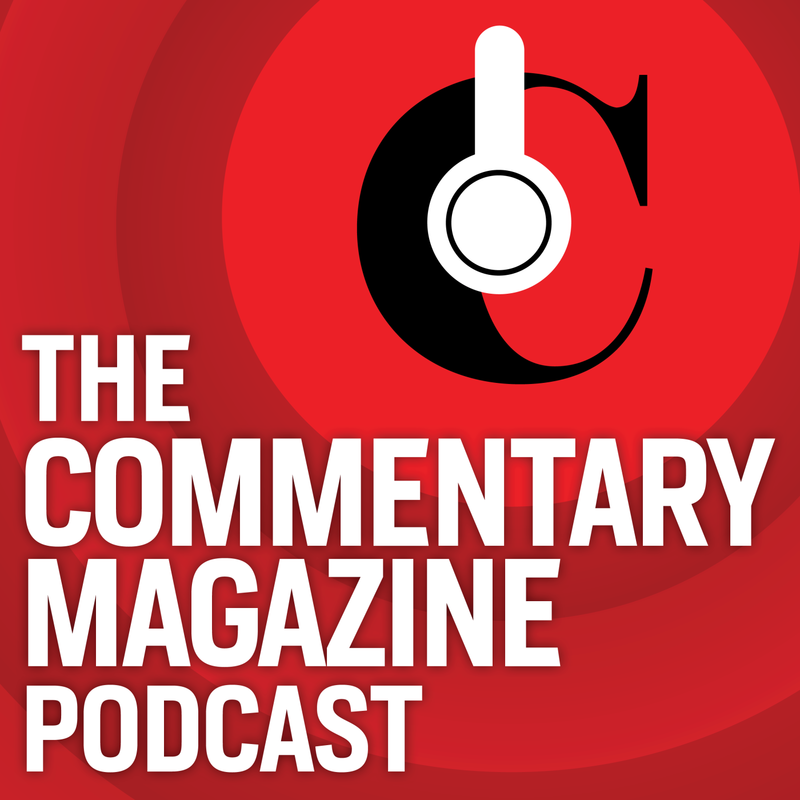 Subscribe to Commentary Magazine Podcast in iTunes (and leave a 5-star review, please! ), or by RSS feed. For all our podcasts in one place, subscribe to the Ricochet Audio Network Superfeed in iTunes or by RSS feed. They’re wrong about why corporations want skilled immigrants to work for them. It is all about the cost savings. It’s not a matter of a relatively small number of foreign PhDs…it’s the vast number of foreign contractors that don’t have to be paid benefits and can be paid less than what an equivalent domestic employee would demand. Just look at all the Indian fast food restaurants popping up all over the place…they’re not just because Americans have discovered a new cuisine they like. Immigration retards income levels ONLY at the lowest level? Uh, that’s not the way supply and demand, math, and non-patriotic employer demands for low wages from troublesome non-Americans work. Furthermore, wages often do not keep up with the inflationary demands of higher education. Additionally, the employers who demanding more HB-1 visas fire their American employees first. The HB-1 visa was created in 1990 for nonimmigrant three-year guest workers. It’s not supposed to be used to force Americans out of work. Immigrants with STEM degrees are more likely to work in STEM than U.S.-born Americans. 2014: Only one-third of native-born Americans with an undergraduate STEM degree holding a job actually work in a STEM occupation. 2015: 11 million Americans with STEM degrees are not employed in STEM jobs — or 3 in 4 STEM degree holders. I can’t believe these people think they have a constructive point to make. They blather on but their analysis misses the point. How clever they are to describe a thing accurately and miss the point. For example, the point is that the American economy is doing well, not how Trump shifts his message to use that better economy to improve his popularity. Interesting how you hand wave away the laws of supply/demand for wages and immigration’s impact. Those corporations just want those brilliant foreign workers…its not like they just want cheaper/more desperate labor. Sure. So Trump promised to cure childhood cancer and promised record immigration. Not sure why the Right loved it so much. Podcasters didn’t say. Glad I skipped it. Abe Greenwald is senior editor of Commentary Magazine. Senior writer at Commentary Magazine. John Podhoretz is the editor of Commentary Magazine, a columnist for the New York Post, and co-host of the GLoP Culture podcast.